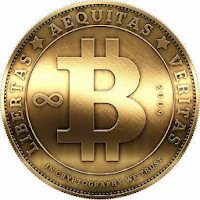 EBTCINFO.ML Bitcoin FAQ What is Bitcoin? Bitcoin is a peer-to-peer payment system introduced as open source software in 2009. The digital currency created and used in the system is alternatively referred to as a virtual currency, electronic money, or a cryptocurrency because cryptography is used to control its creation and transfer. Conventionally, the capitalized word "Bitcoin" refers to the technology and network, whereas lowercase "bitcoin" refers to the digital currency. 0 Comment to "What is Bitcoin?"